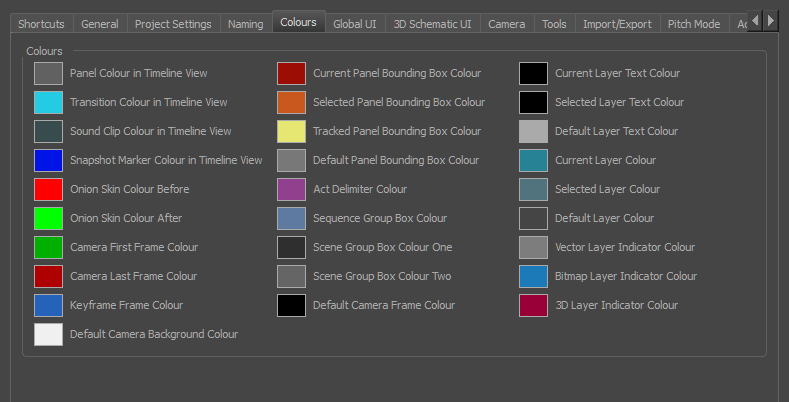 Lets you modify the colours of the different elements in the interface. For example, you can change the background colour of the Camera view from grey to white. Altering the colours requires you to restart the application or close a view and reopen it.